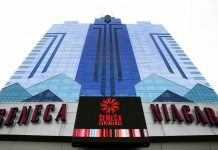 The license for the sportsbook was granted to Harrah’s back in October last year, along with Rivers Casino and Sugarhouse Casino, who both began operating theirs in December. 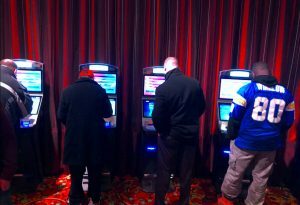 Despite minor delays, Harrah’s are looking get their sportsbook up and running just in time for the Super Bowl. The casino will be permitted to accept bets on various sporting events including football, basketball, baseball, hockey, soccer and college athletics – with multiple betting options available; straight bets, parlay bets, in-game betting, total bets and others. The new sportsbook has also seen the former entertainment centre, “the block” be replaced. And now offers 19 luxury lounging seats, 11 high-rise tables, a seated bar area, as well as 45 large screen TVs for airing games. With the official opening ceremony due to take place tomorrow, the first 1,000 guests to place wagers will be awarded with an official “The Book” t-shirt. At current, New Jersey’s sports betting industry alone, has been estimated to turn over approximately $1.2 billion since it became legal in the state in June 2018. Although it’s too early to tell just how much revenue will be expected to come from Harrah’s in the first year, the PGCB reported that $2 million was collectively generated from sports betting, even though both Sugarhouse and Rivers casino did not run theirs for a full month yet. One thing that the casino does not accommodate yet is Kiosks. And it is unlikely that these will be added for a few months, which naturally limits the betting options for most in-game wagers as well as increase waiting times. 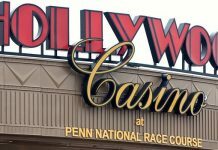 For residents of Delaware and more traditional gamblers, this actually works as a better arrangement than having to visit Sugarhouse or Delaware Park. 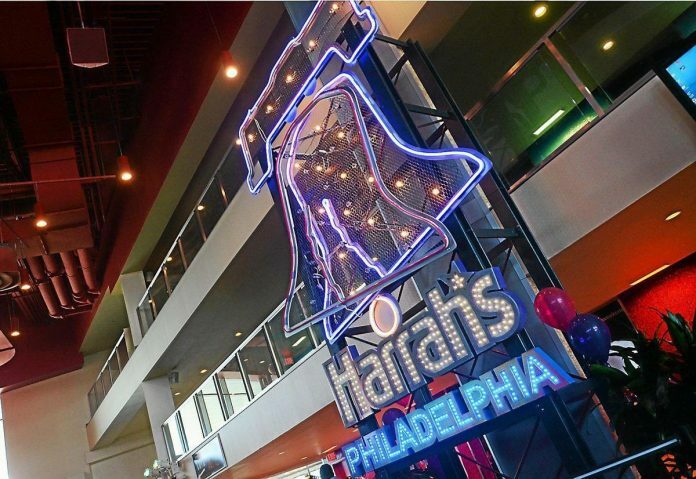 Providing the Pennsylvania Gaming Control Board give their approval and full consent, the Harrah’s sportsbook will officially operate 7 days a week from 11am Monday-Friday and 10am on the weekends, closing at midnight. The sportsbook opens just in time for the Super Bowl LIII in 2 weeks’ time. This year it will take place at the Mercedes-Benz Stadium in Atlanta, and kick-off officially begins at 6:30pm ET on February 3rd.